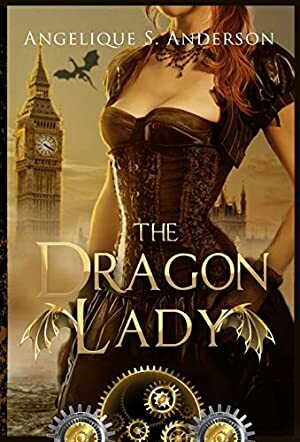 The Dragon Lady by Angelique S. Anderson is book one of The Dracosinum Tales. In 19th century London, Wylie Petford loves her job working in Lord Adrian's stables and her downtrodden home of Lugwallow. After her father dies due to a long illness, she finds a mysterious pocket watch hidden in her father's bed. When she opens it, she discovers her father's secret, and her new destiny. Her life is turned upside down again when her best friend shares that Lord Jameston plots to sell Lugwallow to make way for new shops and to evacuate every resident within a matter of days. Wylie knows she has to stop him, and will do whatever it takes to save their homes. The London portrayed here is true to history, gritty and dangerous, with a lot of social status politics. Wylie rises above this London of the past, breaking stereotypes but still fitting into the time period. She's a delightful character with a kind heart, a spunky attitude, and is opinionated and strong-willed. Her dedication to the people of Lugwallow is her driving force as she refuses to let their homes be destroyed. Lord Jameston is clearly the antagonist, wicked and greedy, becoming more evil in each scene. Angelique S. Anderson dives into good and evil, with neither being completely one or the other. The romance Wylie has with Lord Adrian is a complicated flirtation, a mix of clashing social statuses and an arranged engagement to Wylie's best friend. Their love story stays in large part in the background to her budding destiny. Quincy is a delightful character, taking the role of a mythological mentor that guides the hero with a certain roundabout way of talking and he has an air of wisdom about him. He's also humorous and mystical, giving Wylie a friend she needs for her new destiny. The Dragon Lady breathes new life into dragon mythology, with magic, wit, humor, and a lot of heart.